Adventure Aquarium (Thursday, July 19th 6:30 P.M.) Learn about noisy aquatic animals during Swamp Songs and Marsh Melodies. You will even have a chance to touch a horseshoe crab! Please register online. Hu La La (Thursday, July 26th 6:30 P.M.) Watch authentic dances from the island of Tahiti, Hawaii, and New Zealand, learn about Polynesian culture, and even put on a grass skirt and hula! Eyes of the Wild (Thursday, August 2nd 6:30 P.M.) Meet some familiar and exotic animals. Learn how Eyes of the Wild cares for them and fun facts! 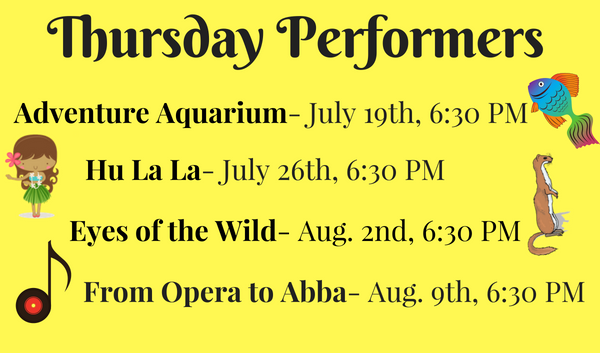 From Opera to Abba (Thursday, August 9th 6:30 P.M.) K-6th graders will get an introduction to Swedish musicians, perform an opening operatic warm-up, collaborative choral son, fanfare fiddle craft & folk dance finale. Keep the fun times rolling on the ride home with a free take-home CD. Please register on the online calendar. 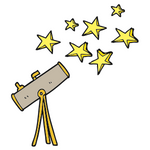 Wednesday, July 18th 6:30 P.M.
Join Bucks-Mont Astronomical Association as they introduce the fasinating hobby of amateur astronomy. Please register online. 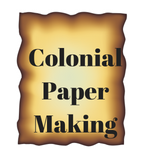 Tuesday, July 24th 6:30 P.M.
Ages 7+ will learn about how valauble and rare a simple thing like paper was, and how labor-intensive a product to manufacture. Using water and pulp made from clothing fibers and recycled paper, participatns will make sheets of paper to take home. Please register online. 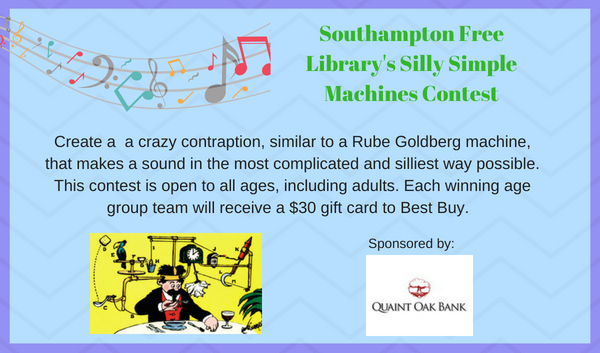 Entry form must be submitted by August 4th. Machines will be presented to judges on Saturday, August 11th. Be prepared to explain how it works. For more information and entry form click here. 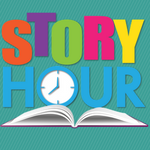 Mondays, July 9th, 16th & 30th 4-5 P.M.
Tuesdays, July 10th, 17th, 31st 1:30-2:30 P.M. Learn about forces of nature, engineering, and music with hands-on experiments. 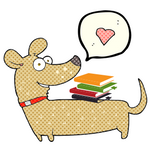 K-6th graders will read books with Nor'Wester Reader Therapy Dogs. Please register for weeks you can attend. Walk-ins welcome if not full. All-ages are invited to read to Olivia, the mini-doxie. This is a walk-in program. 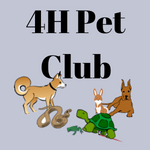 Age 8+ are welcome to come learn about dogs, rabbits, and reptiles with the 4-H Pet Club. Please call 215-322-1415 to register. Walk-ins welcome day of if not full. 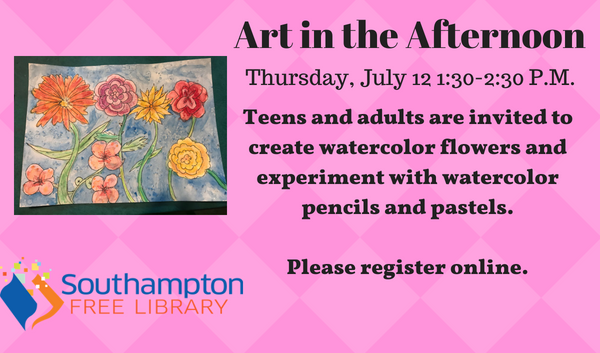 This class is open to tweens, teens and adults. Please register here. 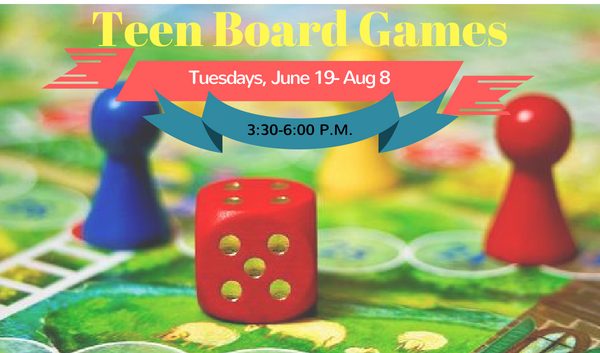 Enjoy fun, board games and hang out with your friends. This is a walk-in program. Teens and adults are invited to learn the Philly Bop, a form of swing dancing recognized as teh Official Dance fo Philadelphia. Please register online. 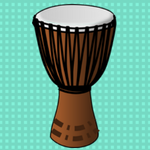 All ages are invited ot learn about African drumming, sing songs, play and authentic African djembe, and participat in a traditional dance circle. Please register online. 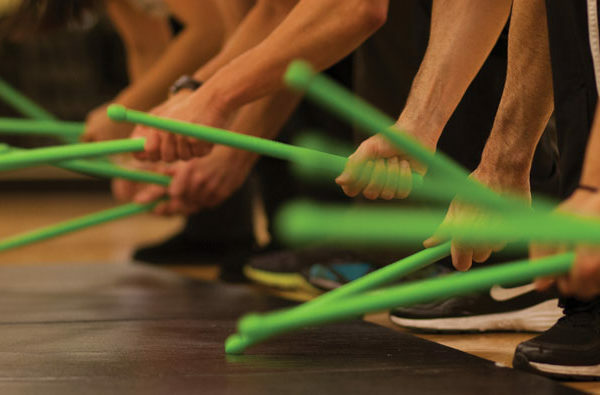 Teens and adults are invited to enjoy a full body workout while drumming. Please register online. 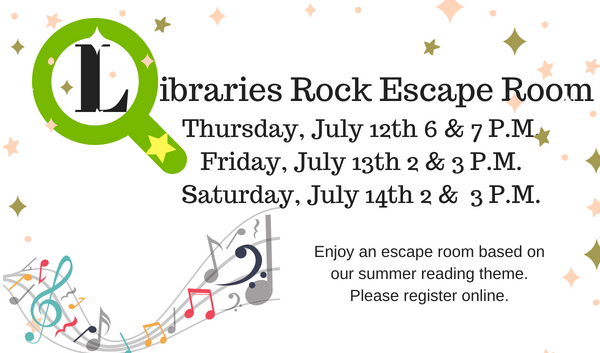 Thursday, July 12th 6:00 P.M.
Thursday, July 12th 7:00 P.M.
Friday, July 13th 2:00 P.M.
Friday, July 13th 3:00 P.M.
Saturday, July 14th 2:00 P.M.
Saturday, July 14th 3:00 P.M. 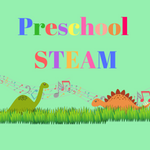 Learn about forces of nature, dinosaurs, and music with hands-on experiments. This is a walk-in program. Each week is a different theme. educational toys. All ages welcome and this is a walk-in program. All ages are invited to learn about police, fire, and the public works department while exploring the vehicles they use. 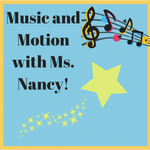 Ages birth and up are invited to sing, dance, and move with Ms. Nancy, a professional music teacher experienced in parent-child music programs. This is a walk-in program until space filled. 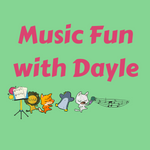 This high energy music program includes singing, dancing, games and lots of musical instruments. 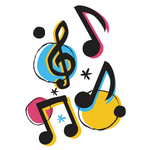 Each class introduces a different style of music such as Marching Band, Jazz, Classical and Pop. Please register online. All ages are invited to play with blocks and toys.